I’ll admit I have a slight addiction to Fabletics; cute gym wear is my jam, and I’m a firm believer that wearing clothes you feel better in when you workout improves your whole workout mentality. 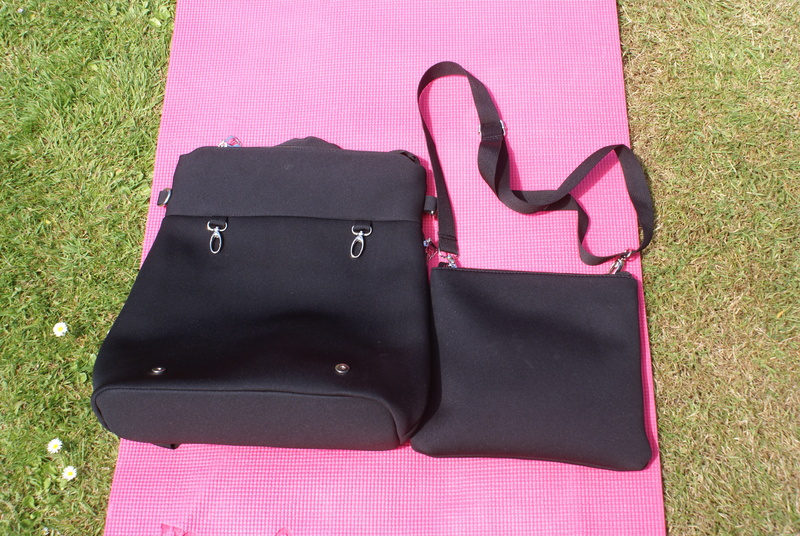 So when I needed a new gym bag and I came across the Sophia Satchel, I was sold on the fact it was pretty, and you could use it as a backpack, or add the detachable shoulder strap to wear it across the body, so when it arrived and I discovered all the amazing extra features, I just had to share them all with you! Its made from a soft polyester, which can mark easily but is also super easy to wipe clean. The front pocket is a great size, and there’s also two inside pockets (one zippable), and a large zipped pocket down the side of the bag. As well as the backpack straps, there are metal loops on the side of the bag to attach the shoulder strap to, and all the straps are length adjustable. But here’s where the surprises begin, because you know the front pocket..
Yep, removable! It attaches to the main bag with metal loops that clip on, and magnetic poppers at the bottom, so you can use the shoulder strap to use it as a mini bag, or use it as a wash bag or cosmetics bag! 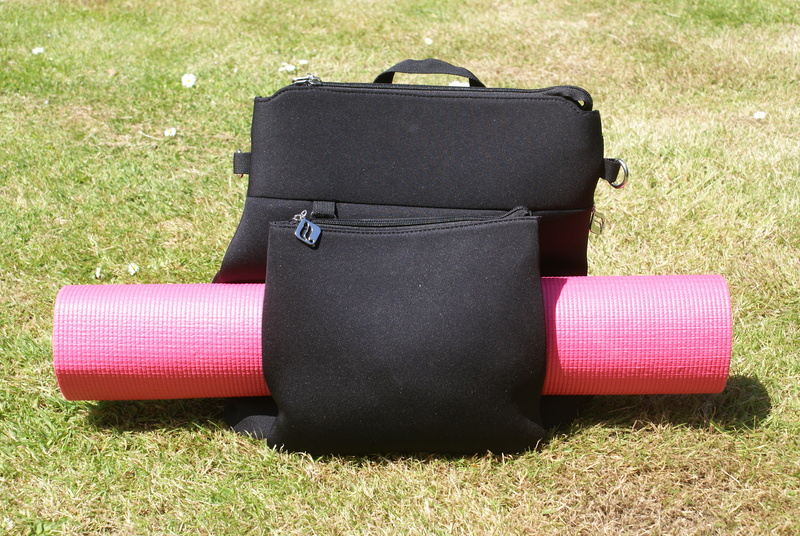 On top of that, because of the way it attaches to the main bag, you can also use it to carry your yoga mat! 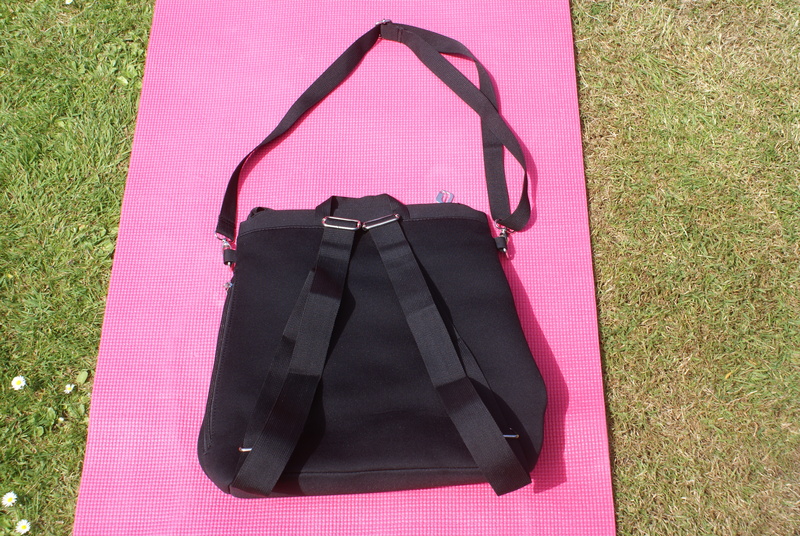 I’m so pleased with this bag; as a VIP member I got it for £26 (£35 for non-VIPSs), its such great value for money and I’m raking in the compliments down the gym! 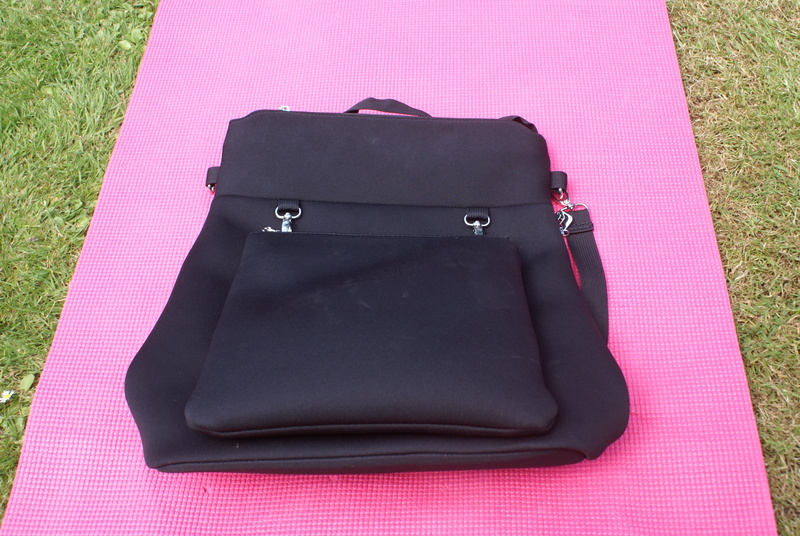 What’s the most important feature of your gym bag? This entry was posted in clothing, fitness, lifestyle, product review and tagged Fabletics, fitness, review, Sophia Satchel, style. Bookmark the permalink.